An active directory example is provided below to present as a quick reference guide. 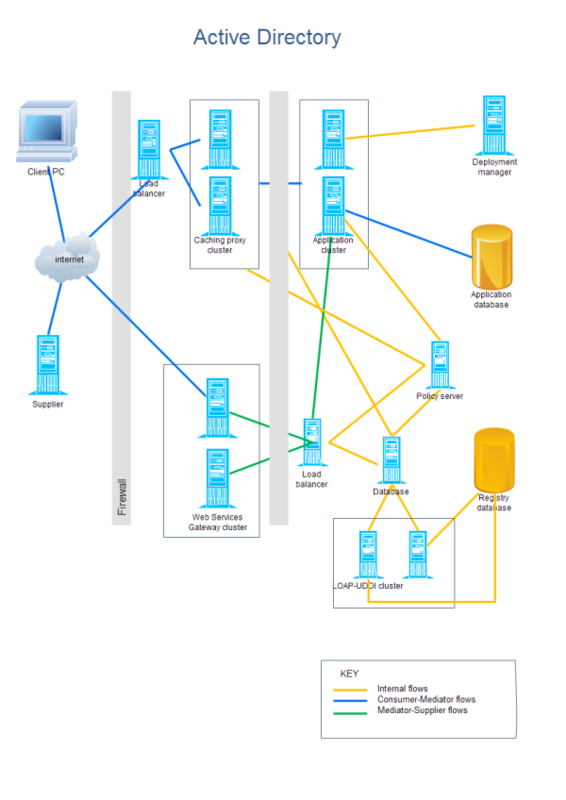 You can start your own active directory design quickly by using this customizable template. Using a ready-made template to start a new active directory diagram can save a large amount of time. You can download and modify this active directory template for your own use. Learn complete active directory guide to get more details. Discover why Edraw is an excellent program to create active directory. Try Edraw FREE.